One of the most promising uses of AI on smartphones is to predict your replies so you don’t have to drag your grubby fingers across the screen or type out that very basic response. Smart Reply is already making conversations on Gmail, Google Inbox, and Allo more convenient, and now the Google’s spin-off Area 120 is developing a new API to bring the feature to third-party chat applications. Area 120 recently made announcement about a new project called “Reply” which prompts relevant responses to users in other apps like Hangouts, WhatsApp, Facebook Messenger, Skype etc. The Smart Reply feature will also be available in the notifications for these apps so that users don’t even have to struggle to reply while on the move. 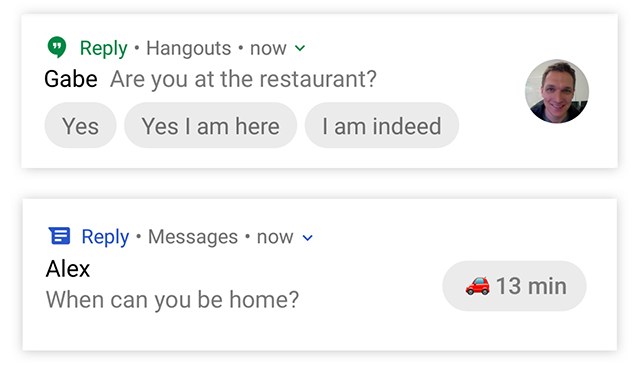 Reply will support automated features like auto-DND mode which will switch on while you’re driving, and also inform other people that you’re not available to reply. It will only alert you about important or urgent messages like “How long will you take?” The API also includes a Vacation Responder which works somewhat like an answering machine while you’re out surfing the waves at the Bahamas. But, the project is autonomously under Area 120 and is not controlled by Google, meaning that Google’s messaging apps will not get preferential treatment – at least that’s what the company wants us to believe. This is also because the feature is more-or-less experimental, in early stages of development, as of now. That is why the Google shied from sharing any details besides confirming its existence. A similar feature was, however, recently teased for the Gboard app. 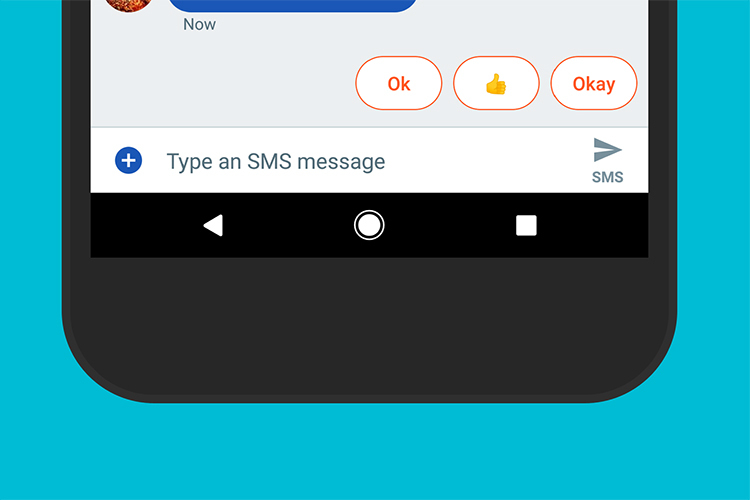 Smart Reply has been one of the loved features on Gmail and other supported apps like Android Messages for Project Fi, and opening up support for third-party apps means it will entice more users fro iOS to Android. Since iOS lacks any feature parallel to Smart Reply, it might also increase adoption of Google apps on Apple devices. Will the feature come as a native feature in the upcoming versions of Android is a little difficult to predict as of now, but there’s certainly some hope. The feature is currently available to Android users and Area 120 is seeking early adopters for it. You can sign up by filling this form.